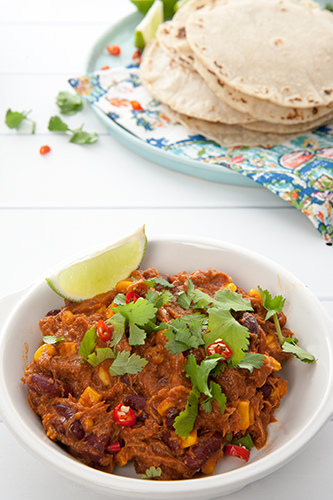 Mexican Pulled Chicken Recipe - Shredded Smokey Style "Slow Cooker or Thermomix" - Easy! I think I may have mentioned previously that I’m a lazy cook. I like maximum flavor and versatility in a dish, with the minimum effort. That’s where this Smokey Mexican Pulled (Shredded) Chicken dish comes in very handy. It takes no effort at all to make. 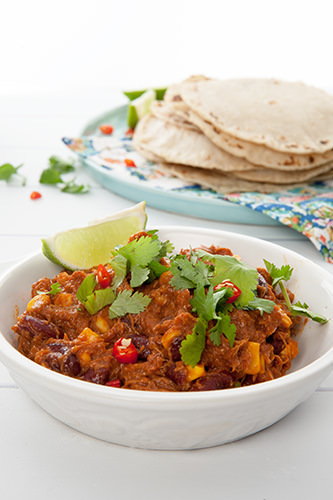 This Mexican Pulled Chicken recipe can be cooked in the slow cooker, or in a Thermomix, and there’s no difference at all in the taste or texture. A Bowl Mexican Pulled Chicken (Smokey Flavor) Ready to eat. When we returned from Mexico I knew I hadn’t yet had my fill of Mexican food. I was actually still seriously craving all those delicious flavors. So much so, that when we returned to American the first thing we did is visit a Mexican Restaurant! Once we returned to Australia I set about trying to recreate all the flavors I loved so much. I discovered that although my son hated avocado, after 10 days in Mexico he would happily eat his body weight in guacamole. The kids also loved burritos! The delicious soft flour tortilla filled with a delicious smokey, meat filling and packed with Mexican rice was our lunchtime staple. While I love making Pork Carnitas, the kids love the Mexican chicken. Once we returned home I set about mimicking the flavors from Mexico in my owned Mexican pulled chicken dish. This recipe makes enough Mexican shredded chicken for a number of meals or a few guests. It such a help having leftovers in the fridge when you’re busy. Knowing that I don’t need to start a meal from scratch is a real load off my mind. 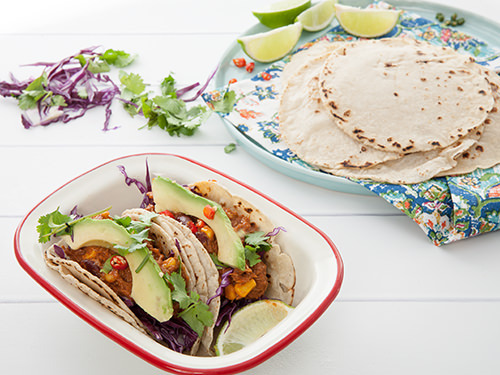 The Mexican chicken can be served with rice, used as a filling for wraps or tacos or as a topping for Nachos. My kids love it when I top their nachos with the pulled chicken, although I think they just like an excuse to eat corn chips covered in cheese and sour cream. 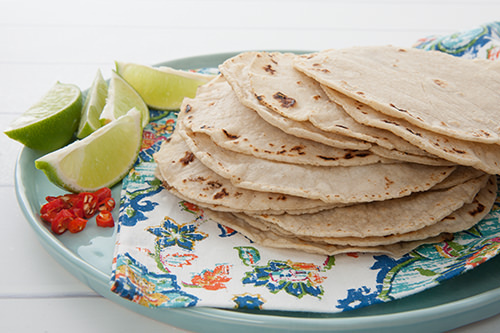 My favorite way to eat this dish is with homemade tortillas as a taco filling. I usually make my own guacamole and some Tomatillo sauce and enjoy a light, healthy, tasty Mexican dish. The rich smokey flavour in this shredded chicken recipe comes from smoked sweet paprika. 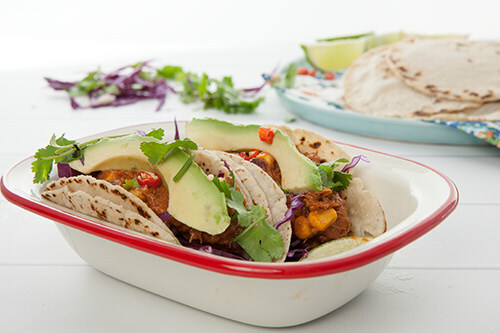 As the Mexican pulled chicken cooks the smokey flavour travels through the house. 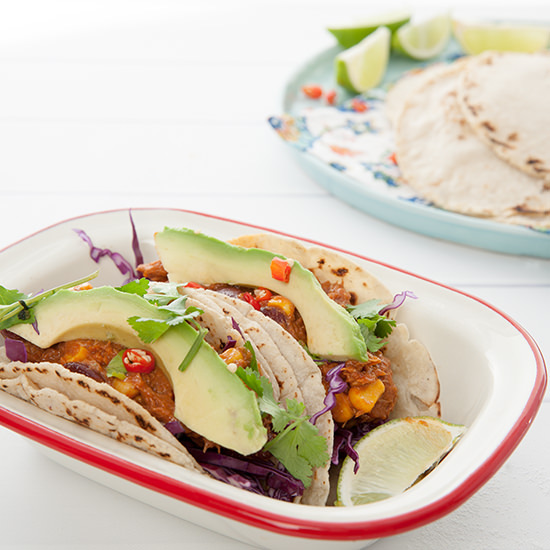 An "Aromatic and Flavorsome" Mexican Pulled Chicken recipe that's easy to make in the Slow Cooker or Thermomix. We make it in batches for guests or to refrigerate and have it on hand when the tribe is hungry! Place garlic and onion in the TM bowl, chop 3sec/speed7. Add oil to the bowl and sauté. 3min/120 degrees/speed 1. Add the chicken and cook 5min/120 degrees/reverse speed 1. Add tomato paste, tomatoes, all the spices and salt. Cook 60min/100degree/reverse speed 1. Add all the ingredients to the slow cooker except the beans and corn. Put the slow cooker on high for 3 -4 hours. After 3 hours check to see if the chicken can be pulled apart with two forks. Use two forks to shred the chicken and then add the corn, taco seasoning and beans. Cook for another 10 minutes and then serve. 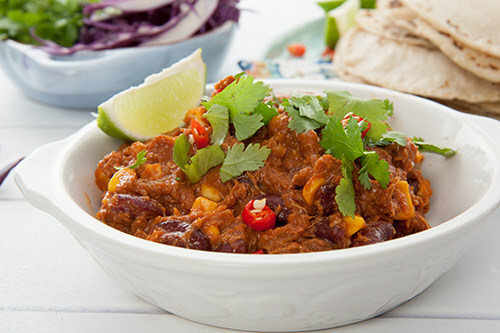 As I said previously, all the ingredients for your Mexican Pulled / Shredded Chicken recipe can be just dumped in the slow cooker or you can use a Thermomix.